Course Website: Official Website - Visit Legends Resort (Heathland)'s official website by clicking on the link provided. 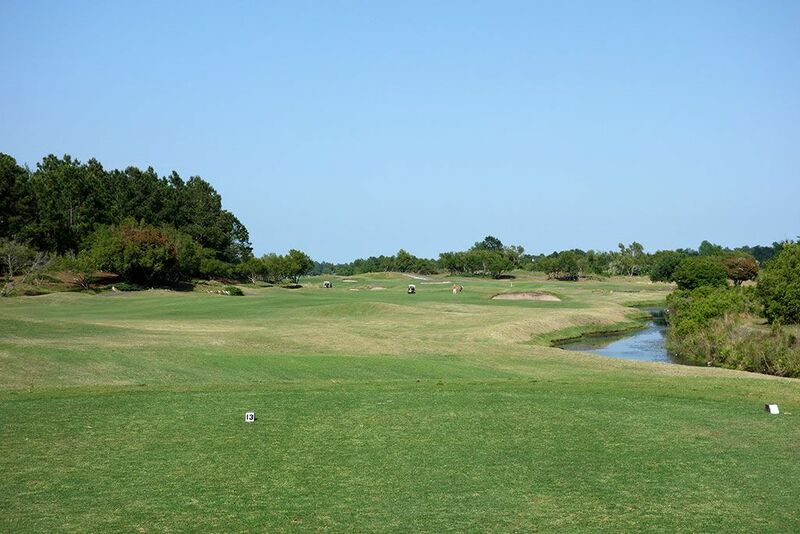 Accolades: Ranked 11th in South Carolina on Golf Course Gurus' Best in State list. What to Expect: The Legends Resort is a three course complex that boasts sufficient accommodations and dining to host large scale events or act as the backdrop for your buddies trip. The Heathland course stands as one of Tom Doak's first designs and features some excellent architectural elements to enjoy. 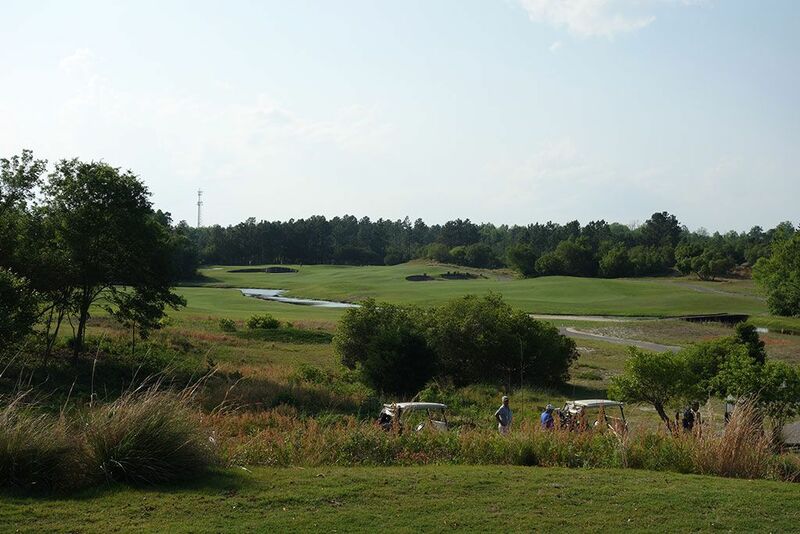 With varied bunker placement, rolling terrain, and intriguing green sites, Heathland has the bones to be one of the most celebrated courses in South Carolina. Unfortunately the conditioning prevents some of the architectural elements from standing out with the turf not playing firm or fast and the areas around the greens not being shaved as tight as Doak intended with the grasses he used. The putting surfaces aren't as undulated as you'll find at modern Doak courses but they certainly don't lack interest. Checking in for my round I felt like I had pulled up to a old train station with signs hanging from the covered luggage drop off area, but instead of the signs displaying city names they have the course names written and the luggage you drop off are your golf clubs. Walking into the pro shop is a similar experience with Heathland, Moorland, and Parkland signs hanging above three different manned check-in stations that correspond to your assigned tee time. A unique feature at Legends is that every tee time includes a breakfast or lunch accompanied by two drinks with vouchers being delivered to you upon checking in at the pro shop. 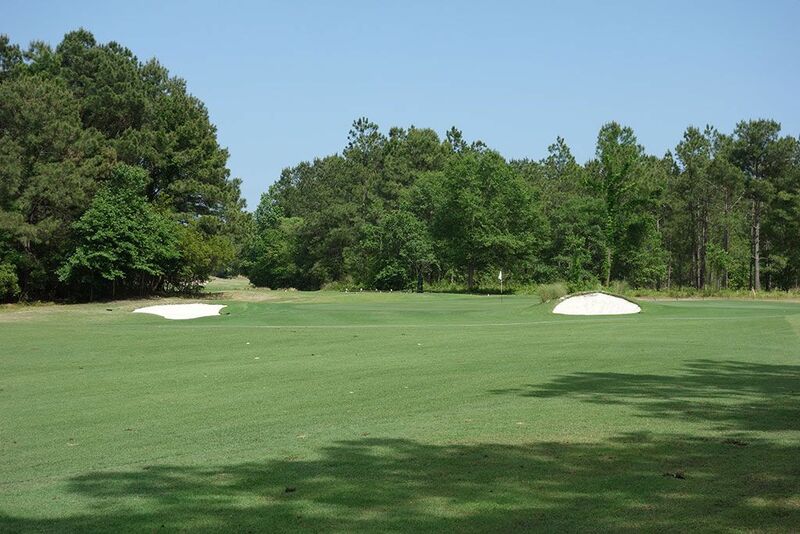 Legends offers one of the best and most expansive practice facilities you'll come across at a public facility with 30 acres of ground dedicated to a driving range, practice greens, chipping and bunker areas, and a golf school to compliment the pub and pool. With extensive and well appointed accommodations to compliment three quality courses, Legends Resort is a great destination for a buddies trip. Signature Hole: 16th Hole – 447 Yard Par 4 – My favorite hole at Heathland is this challenging par four that features two fairways that are divided by a creek. Players going up the left side have less fairway to work with but will be rewarded with a shorter uphill approach to the plateau green. A few bunkers are scattered on the hole but the keeping up the right side of the hole will take them out of play. The sloping green can create some slippery putts when the putting surfaces are running fast which is part of the reason this hole rates as the most difficult on the back nine. Best Par 3: 8th Hole – 150 Yards – This short par three features a green that sits behind a pair of simulated dunes with a small bunker protected the front and a larger bunker resting off to the right. 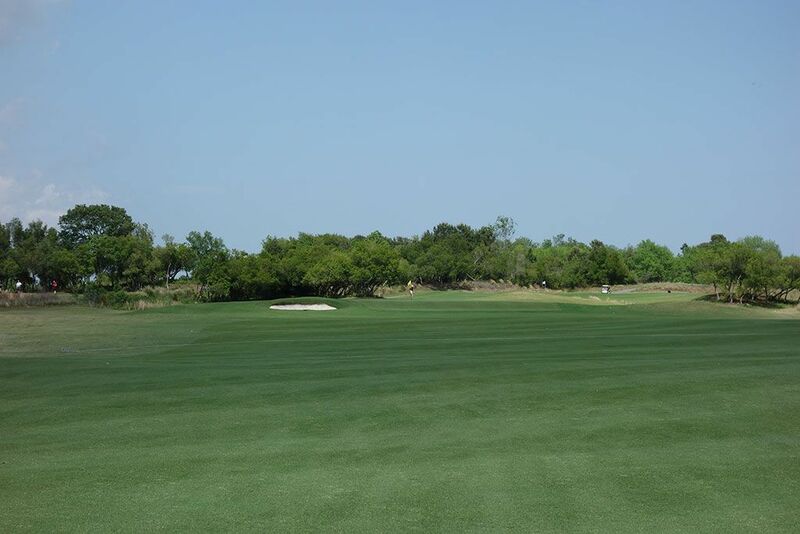 The undulated front of the green creates some interesting putting situations and can make hitting your tee shot close to the hole a challenge. Best Par 4: 9th Hole – 442 Yards – The closing hole on the outward nine has a lot going on to contend with. With a huge bunker fronting the right side of the green, players are encouraged to challenge the bunkers up the left side of the hole to open the optimal angle into the putting surface. Long ballers, especially downwind, can bring a creek into play that bends in from the left approximately 300 yards from the back tee. The green sits at a 45 degree angle with the slope running away from the player to the left thus creating a demanding approach to contend with. Best Par 5: 13th Hole – 539 Yards – The 13th hole features a creek that meanders up the right side of the fairway before crossing over to the left around 175 yards out from the green. 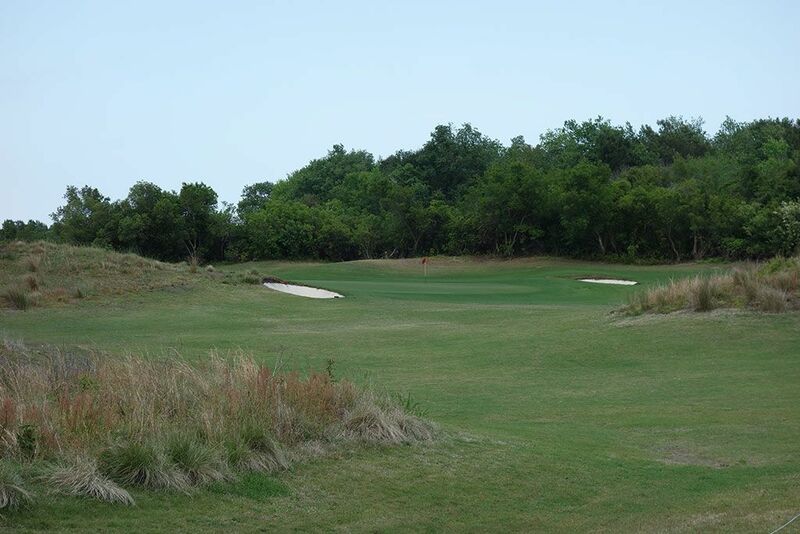 Players that hit a long enough drive up the left side of the fairway may elect to try and reach the green in two despite the challenging angle, however players not wanting to go for glory need to hit their approach shot over the creek and between the bunkers to find safety. The terrain moves slightly uphill the whole way to the green so be sure to take an extra Â½ club on each shot you take to accommodate the elevation. Birdie Time: 7th Hole – 479 Yard Par 5 – At just 18 yards longer than the previous hole, Doak gives players an additional stroke to score a par on this short par five. Th fairway bunkers you see off the tee aren't really in play so feel free to grip it and rip it with little fear of potential trouble. The approach shot play to a green that is modeled after the famous Road Hole at St. Andrews, so steer clear of the Road bunker next to the green on your approach and you are golden. 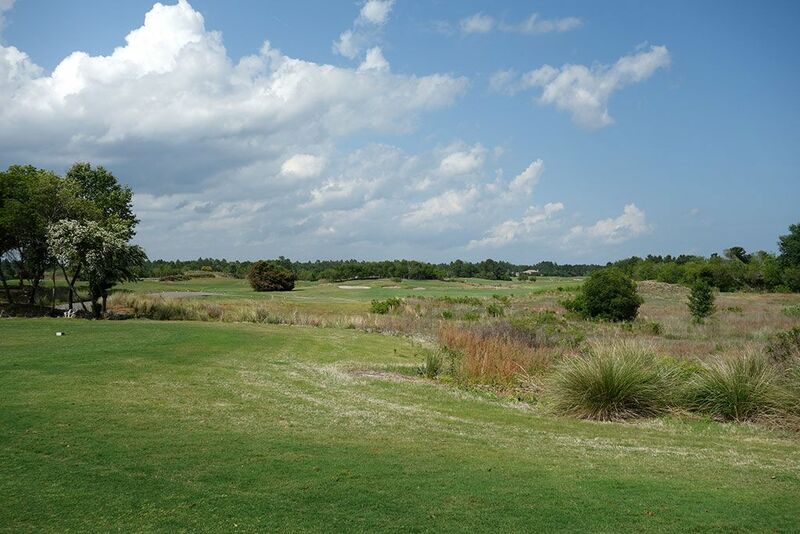 If you took a bogey on #6, this is a great opportunity to take that stroke right back. Bogey Beware: 6th Hole – 461 Yard Par 4 – Heathland's toughest hole is this lengthy par four that requires over 200 yards of carry to reach the fairway from the tee. A mounded pot bunker fronting the green presents a formidable challenge while trying to reach the putting surface and must to avoided if you have aspirations of taking a par here. Players that can't hit a draw off the tee will be left with a long approach that will greatly reduce the chances of reaching the green in regulation which is the #1 indicator that a bogey is coming your way.